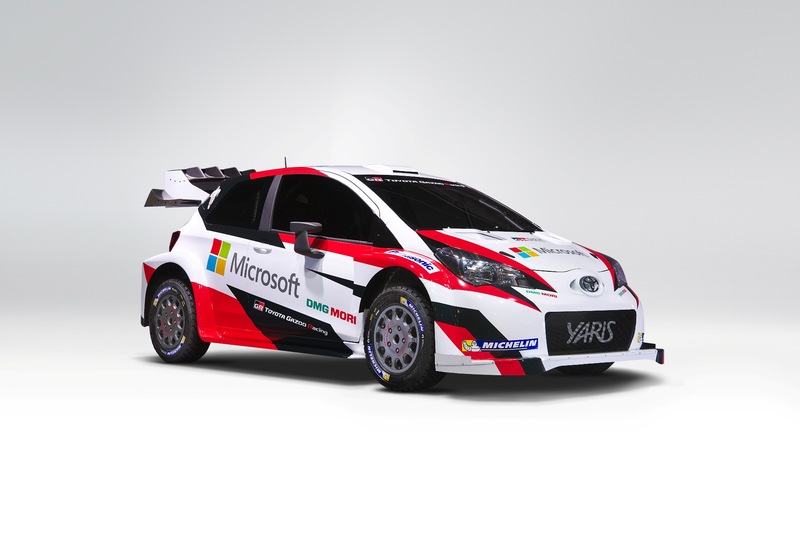 Today at the Paris Motor Show Toyota Gazoo Racing along with team boss and 4 times World Rally Champion Tommi Makinen, showed off their new 2017 Yaris WRC car with a massive Microsoft logo on the side. In addition to Microsoft, Toyota Gazoo Racing also added DMG Mori (a machining company similar to Haas), and electronics manufacturer Panasonic. In the press release, Toyota President Akio Toyoda stated “I believe that, like Toyota, Microsoft aims to enrich society in meaningful ways. Based on the on-going partnership, we aim to further develop our people and enhance our cars through the use of IT in motorsports to promote ‘ever-better cars’.” Full press release is here. It seems the interest and excitement for the 2017 WRC season is going beyond the standard sponsors we’ve seen in the sport the last few years and is dipping its toes into the technology sector. This makes perfect sense as our cars become more and more connected, but I think there is an added advantage here. For me at least here in the states, many of the rally friends I’ve made over the years tend to work in IT. The demographic that follows rally and the WRC appears to be rich with the kind of consumers companies like Microsoft and Panasonic might be looking for, which is a bonus. Either way, such a massive sponsor is a big win for Toyota and the WRC as a whole. So if Microsoft is willing to jump into the fray of the WRC, can we now please get Ford back as a title sponsor for M-Sport? I mean, come on already Ford! !